OpenFace is a powerful toolkit that provides facial landmark detection, pose tracking, action unit recognition, gaze tracking, and facial feature extractions. Here I share the simple way to setup OpenFace using a Docker container. The Docker container is at https://hub.docker.com/r/algebr/openface/ but you essentially just have to type the following command into the terminal. -dit : –name : rename your running image or Docker will name it for you -v : attach a directory for your data : The final argument is the name of the downloaded docker container. 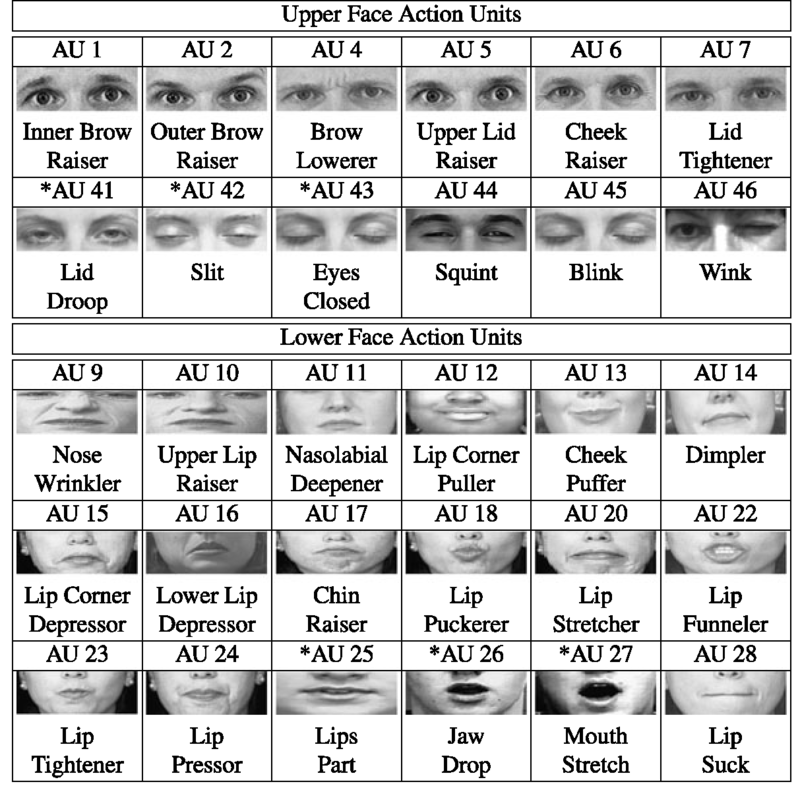 The output file is a csv file in which Facial Action Units are listed in terms of presence and intensity.